10 April 2019, 14:02 p.m. Both partnerships will utilise HPE GreenLake, the company’s consumption-based IT model. Nutanix’s Enterprise Cloud OS software will be delivered through GreenLake ‘to provide customers with a fully HPE-managed hybrid cloud that dramatically lowers total cost of ownership and accelerates time to value’, as the companies put it. The deal with Google Cloud, the next step in the companies’ collaboration, will also offer a migration path for Anthos, Google’s newly-rebadged cloud services platform. 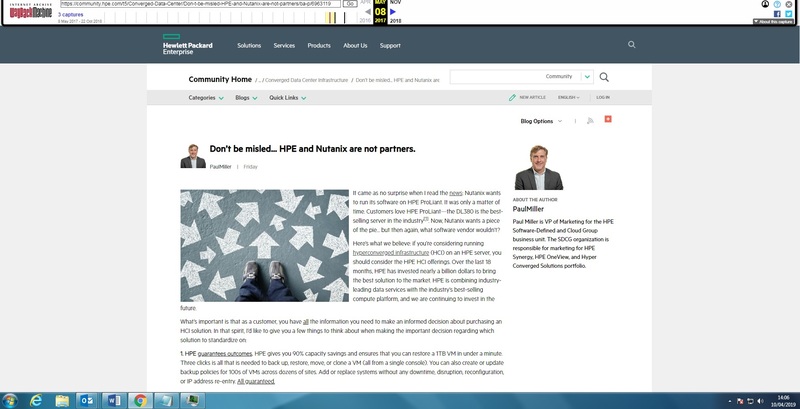 HPE customers can use Anthos to manage public cloud and on-premises resources, with the overall aim by the company of providing customers with a consistent experience across all environments. The Nutanix deal is of interest primarily because the two companies were previously vehement opponents. In 2017 Nutanix announced a string of partner agreements, notably with IBM around aligning Nutanix’s enterprise cloud with IBM’s Power Systems server line. Alongside this, the company separately said the same software would be available on HPE ProLiant systems, as well as Cisco UCB B-series blade servers, as reported by ZDNet. As far as Google is concerned, this is one of many partnerships coming out during the company’s Next event in San Francisco this week. Of most interest during the keynote yesterday, as this publication explored, were proposed deals with seven leading open source software vendors.